To truly be an expert martial artist (Black Belt) there are 6 main areas of martial skill you need to be expert in. As you probably know by now, most martial arts styles are “Budo” arts and teach sport and kids martial arts. Martial sports focus on 1 or 2 of the skill areas -and they do the sport version of those skills (EX: BJJ schools teach (sport) grappling, Tae Kwon Do schools teach (sport) kicking). 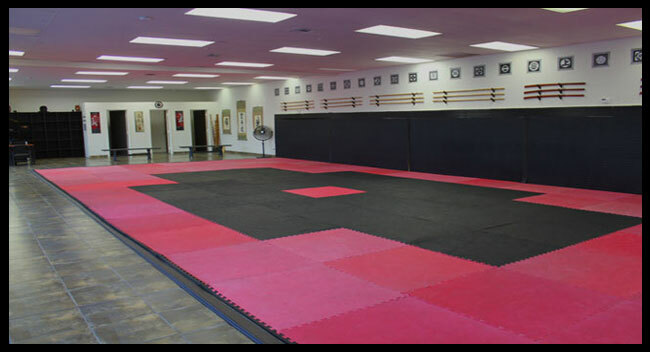 If you’ve looked at martial arts schools around the area you will see that our Dojo is very different than the average martial arts school. What makes us different is we started with a different training philosophy than the more common sport martial arts schools or kids schools. The majority of those schools focus on playing martial arts as a sport, going to sport tournaments, trying to win trophies etc. Since the late 1800s the majority of arts have been modified from the original martial arts (war arts) into sport derivatives of those arts. Generally called “budo” arts these styles are derivatives and generally less functional modifications of the original martial arts they were based on. There is nothing wrong with Budo arts, a lot of of people (especially kids) really enjoy them. But they are not the same as the original arts they are derived from. Our schools focus was on training in the best possible martial arts skills, studying those original arts. 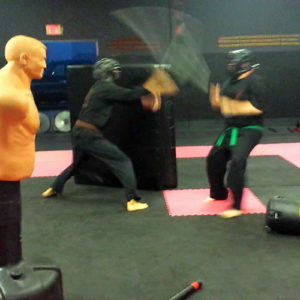 As we trained to perfect our martial abilities we also improved ourselves as people becoming stronger and more centered. We also enjoyed being a serious group of martial artists training at a Dojo together. 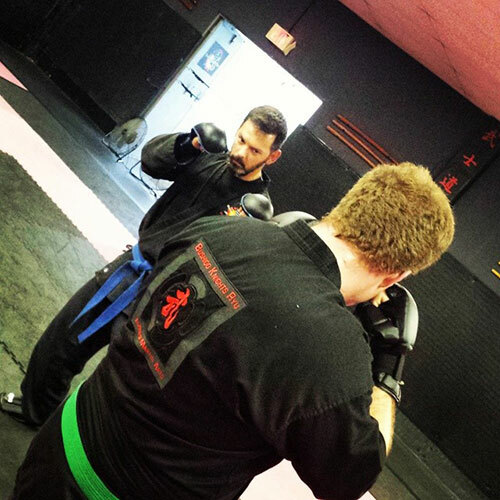 We started out in South Florida as a private Dojo back in 1993. We were not a commercial school or open to the public for the first 6 years. Membership in the school was by invitation from the the senior Sensei. It still is. We never advertised. We still don’t. We have this web site to explain our philosophy of martial arts and beyond that we still add most of our new students through referrals from our current students, word of mouth and people who find us after researching local Dojos online. 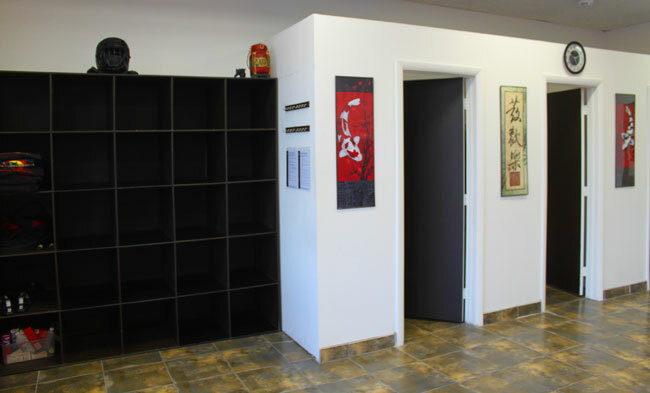 We eventually needed a larger Dojo and more training space so we expanded into a bigger building. After that we opened the admissions process to people who were not being referred by current students. New prospective students received an invitation to to come and train with us for 2 weeks. If they were a good fit they were offered the chance to become a student. We still have the same admissions process that we have always had. (If you are interested then call us). We look for someone who is a positive person, with a good attitude, who has a passion for learning the best martial arts and who wants to improve themselves personally -mind, body & spirit. We have a great group of people that train here. They are excellent martial artists and quality people. They are always happy to welcome new people to our school. This creates a great training environment. We maintain that by only adding quality people into our school. 1) Call the Dojo & Make an Appt. We will give you some information about the training and class availability. You can then decide on a good time and make an appointment to join us for a class. These are 4 very easy steps and we find that people that are serious about finding a top quality school and learning martial arts (the kind of people we are looking for) will take them easily. Make a phone call. Make an appointment. Show up. Take a class. If you are willing to take action, make a phone call and show up, then we are willing to give you the opportunity to train at our Dojo for 2 weeks. Free of charge. All you need to bring is yourself and some training clothes (shorts and a T-shirt is fine). If you love the exceptional martial arts training we offer (the Dojo, Style etc) and we also feel that the training is right for you and you are a good fit with us then we will see about having you continue training with us. Below you will find an overview of 10 reasons we believe our Dojo offers an exceptional and unique training experience -Reasons that distinguish us from other local schools. 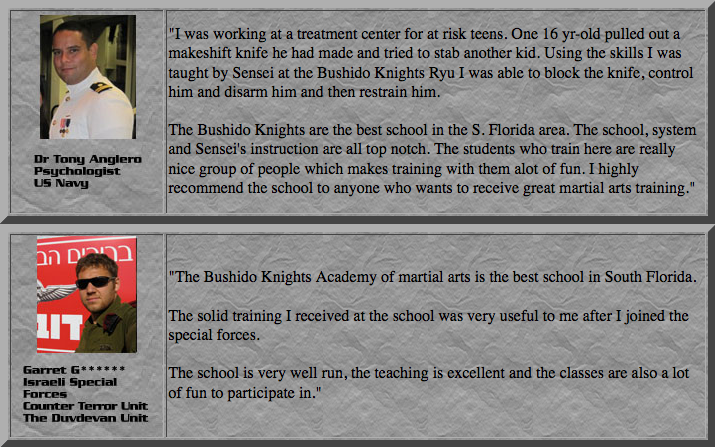 You will also see a large number of students testimonials describing their experience training in our Dojo. Read through the 10 reasons overview of our Dojo below and also the student training experiences and if it resonates with you then take the next step on your journey on the martial path and contact us. After over 30 years in the Arts my experience and belief has always been that people who get into the martial arts are overall a great group of people. The Arts have always attracted high quality people to them and many great people study them. There are other good local schools with good teachers who strive to do their best by their students. We respect anyone who has ever dedicated themselves to the Arts -especially when they try to pass on what they have learned to others. But it is also a FACT that martial arts schools are NOT created equal. If you are researching martial arts schools because you want to take classes you should be aware of that fact and keep it in mind as you look around at possible schools for yourself. If you have a friend or family member who is an experienced Black Belt ask them to tell you candidly what they have learned over their years in the Arts about martial arts schools and martial arts instruction in our area -or nationally. They will tell you that there are a very small number of truly exceptional schools, most schools are ok to good (or acceptable for certain needs -decent kids after school program, good cardio class etc) and some schools are poor or have some glaring negative that you would be better advised to avoid (unsafe methods, poor instruction etc). 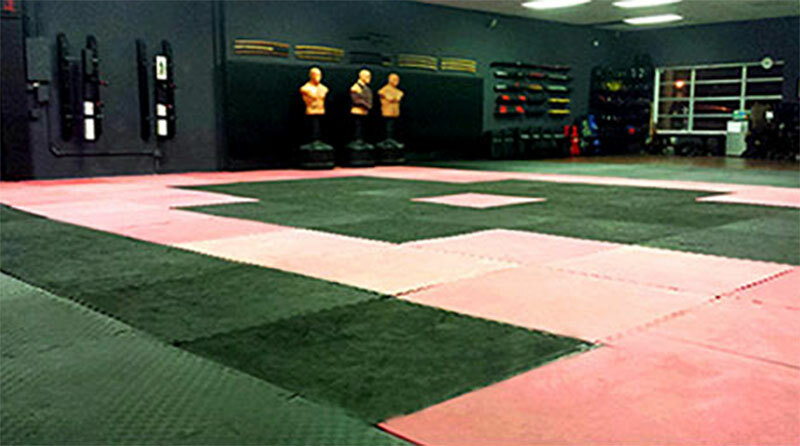 We believe we have created the finest martial arts Dojo in the South Florida area. Offering better instruction, more diverse martial skills and more effectively giving our students the benefits they are seeking that caused them to want to start studying martial arts in the first place. We recommend you look at all the other martial arts schools in the area and then compare them to our Dojo. When you do, you will find many things that make our school stand out from the other local schools. First class school, martial style and training. 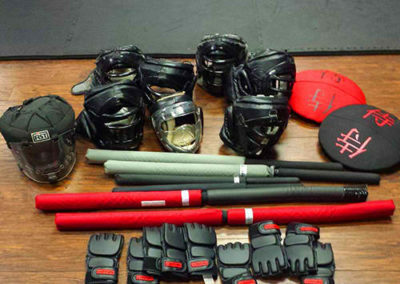 Our Dojo is equipped with the very best training and safety gear. 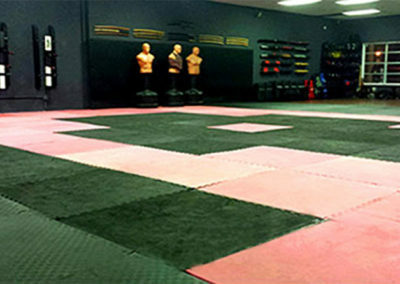 If you get to train at our Dojo you will immediately see that we offer a unique and exceptional training experience. A huge amount of time, effort and energy has been put into creating our Dojo and giving our students the best possible training. 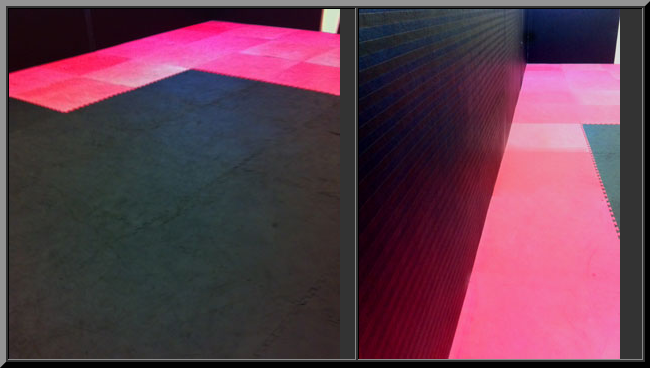 Just look at the photos of our Dojo and you start to get a sense of the time and effort involved. You also can see how serious we are about exact attention to detail and doing things the right way. In martial arts as in other important areas of life we believe it is important to go with the best. Training in an outstanding martial arts program will make huge positive changes in you as a person and in the quality of your life. Prospective students who are applying to the school are given (free) an intro informational book, an instructional DVD, a 24 module martial arts ebook series and other resources to help them get up to speed on their journey on the martial path. You will be given the package below when you come in for your 1st class. 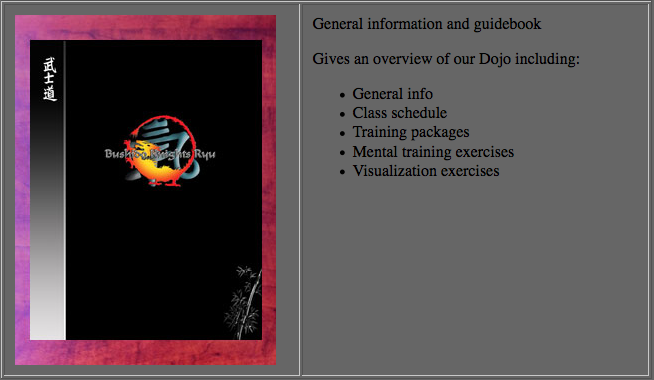 It is designed to help you learn about the Dojo and get up to speed quickly and comfortably with the new skills and information. 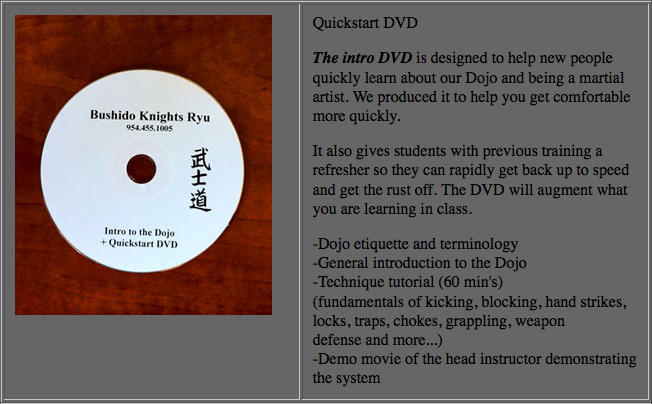 Our Dojo extensively uses video because it is a excellent learning tool. Many martial arts schools just teach a series of techniques. If all you get out of being a martial artist is improvements of your physical abilities you are vastly missing out on all the most profound benefits of the martial path. Serious Black Belts will tell you that having expert martial arts skills is satisfying, fun and functional …but the thing that they value most about being a martial artist is how it has changed them as a person. Excellent Martial Arts training will radically change your life for the better. Training in the arts will cause you to grow and become stronger in mind, body and spirit. 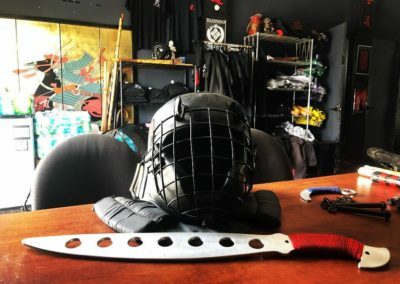 Our school goes beyond just teaching excellent martial technique and uses the experience of being a martial artist striving for mastery of their Art (with all that journey will entail) as a medium and a method of personal growth and transformation. In the physical area you will greatly improve in many ways. You will get stronger but you will also improve your speed, your timing, your power, your reflexes, your hand-eye coordination, your stamina, your balance, your flexibility, your agility, your body tone and more. You will get the same multifaceted growth in the areas of mind and spirit including: self-discipline, focus, awareness, confidence, motivation, self-respect, stress management, concentration, self-control, personal growth, goal setting, leadership skills, public speaking skills, persistence, emotional control, fear control, rapid decision making and more. The martial arts culture and the environment of the school put a lot of emphasis on developing dynamic, strong people who live by a code of conduct that includes self-discipline, integrity, personal responsibility, self-respect, respect for others and a commitment to improving themselves and their life. We tend to value strength in others and we like and respect ourselves most when we are strong and self-disciplined. The codes and culture of the arts have endured for so long because they offer people a way to develop these positive attributes in themselves and allow them to live a better, more enjoyable, more elegant life. Having a code that you believe in and the self-discipline to follow it is like having a road map to where you want to go and the willpower to make the trip. While there are many benefits to training in the arts besides self defense many people who start martial arts do so because, in addition to all the other benefits they want, they also want the peace of mind that comes with being able to protect themselves. 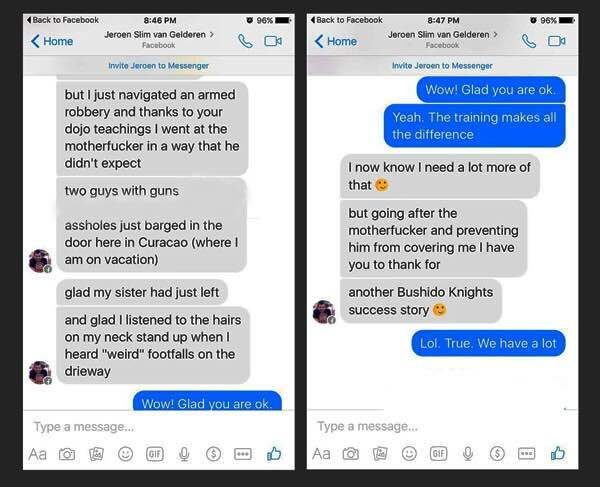 The Bushido Knights will teach you extremely effective martial arts fighting skills that have proven themselves many times over when our students have found themselves in harm’s way (see our many testimonials). If you need to defend yourself, you will have the skills. Knowing you can take care of yourself and your family because you are extremely well trained will give you peace of mind and confidence. Many of our students have avoided violent conflicts and the need to physically defend themselves simply because the aggressor saw that they were confident and seemed well prepared. Predators look for weakness and fear to help them choose prey that will be easily targeted with minimal risk to themselves. When you don’t display the expected fear and weakness you don’t look like a good target. If they choose to continue their aggression anyway, they will do so facing a well trained person who is fully prepared to counter any of their attacks. This is the essence of “peace through strength”. One of the ironic things about training in the martial arts is that the better your skills become the less likely you are to ever have to use them in a violent conflict. Over the years we have had over 40 students (mostly people who work in dangerous professions, law enforcement etc) that have needed to defend themselves. 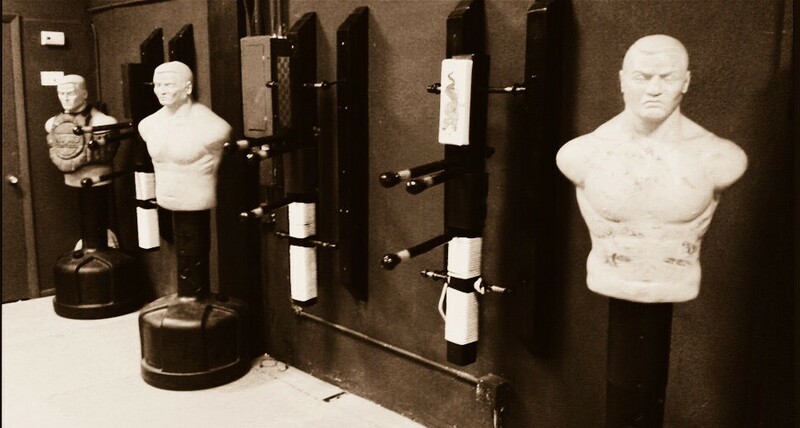 All of our students who have needed to defend themselves have done so successfully and most of them had less than 6 months of training at the time. 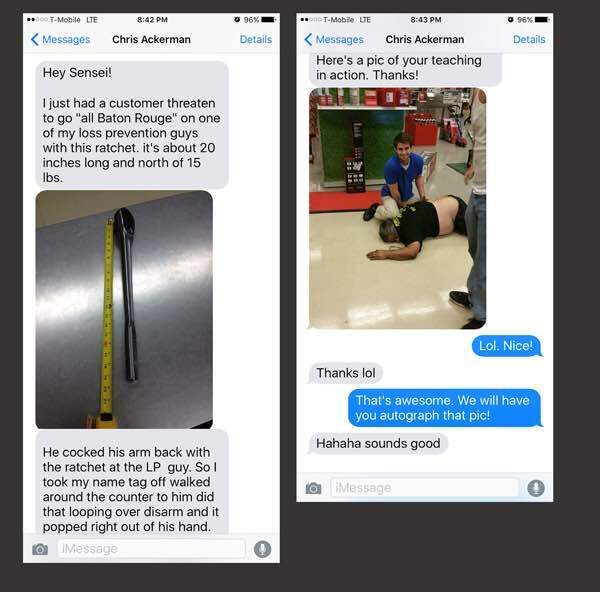 It is worth noting that none of our students received any significant injuries and none of them found it necessary to severely injure the aggressor. None of them had any legal problems due to their self-defense actions. There is certainly some good fortune to our self defense success rate but the common denominator was good, effective martial arts training. 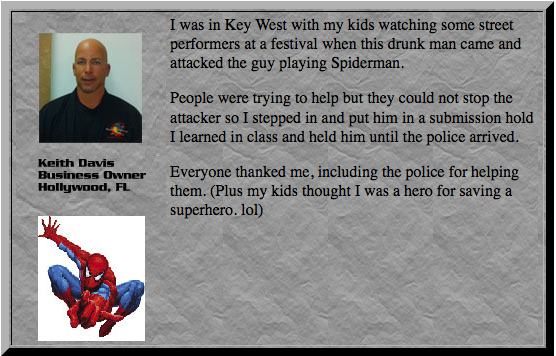 Most times our students have avoided potential self defense situations due to superior awareness and because aggressors were dissuaded by the confidence they displayed. Criminals look for easy targets and are drawn to weakness. A well trained martial artist is neither. 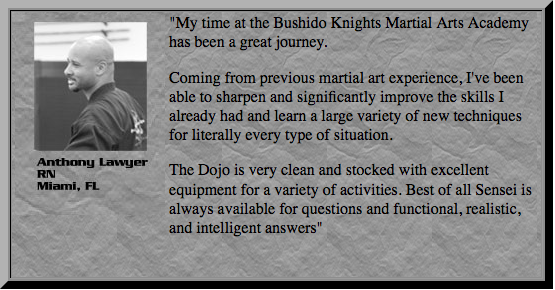 Our students many success stories illustrate the effectiveness of the Bushido Knight’s martial arts teaching methodology and also shows how quickly the students develop the skills needed to protect themselves. If self defense abilities are one of your goals then why take Budo classes purporting to teach self-defense (as virtually all schools claim) if you will need to train for many years before they become even marginally effective? Over the years we have met many people who had gotten their Black Belts in Budo arts and were discouraged because they did not feel they had significant self defense skills after years of training and reaching high rank. Hopefully you never need your skills to protect yourself or your family but having real skills and not needing them is much better than the alternative. Many martial arts programs will only let a new student try one intro class and many schools will accept anyone that wanders in the door and wants to sign up. They have no admissions criteria or minimum standards for who they will teach. 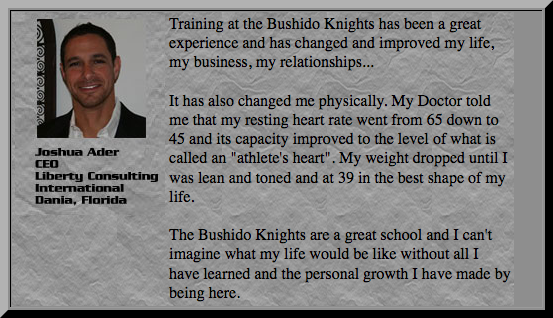 At the Bushido Knights we have a free admissions program that allows prospective students to train with us for up to two weeks while they are being considered for admission to the school. The intro program lets new students experience the outstanding quality of the martial arts taught here for up to 2 weeks before they can join the school. The people in your life influence you and effect the quality of your life. Being around negative people and situations will drain you and your life of the positive things you want and need. Being around positive people and situations will do the opposite. Spending time with quality people similar to yourself is one of the best ways to raise the quality of your life. We are one of the very few schools in America that only teaches adults. The youngest we will accept a student is 15 years old. The majority of our students are 25-45 years old. This distinguishes the Bushido knights from most martial arts programs that specialize in teaching younger children (12 and under). We do not teach young children because we focus exclusively on real martial arts for adults, martial arts as it was originally taught. Children’s martial art programs are excellent for teaching kids confidence, coordination, respect etc, and we recommend that people get their children involved in the arts, but kids martial arts (even when they are retooled into an “adult” program) are not right for adults who want more serious training in the same way that many serious adult subjects are not appropriate for children. That’s why we recommend you look at all the other martial arts schools in the area that interest you and then come and see our Dojo. When you have seen the type of training that is commonly available and also the very high percentage of schools that almost exclusively focus on offering classes for young children …you will have a better appreciation for the outstanding quality and uniqueness of the teaching you will experience at the Bushido Knights Ryu. When you research the martial art schools in the area you will find that most of them do what are called “Budo” arts. Martial ways are derivatives of the original martial arts that seek to remove much of the “Martial” aspects of the arts but try to still retain the personal development aspects. We believe that systems removing the core “martial” elements from the Arts is a mistake because those elements are the main mechanism that drives and causes all the growth in mind, body & spirit that martial artists achieve. Martial “Ways” (“Do” arts, Karate-do, aikido, Iaido etc) seek to improve the mental and spiritual development of the practitioner through the practice of aesthetically attractive techniques that have been derived from the original martial arts. By focusing on perfecting the movements they strive to improve the person. Martial ways modify the original techniques based on the appearance of the technique rather than its functionality. 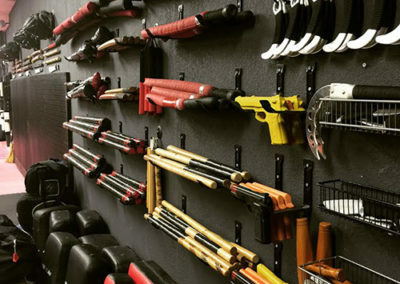 The major drawback of these modifications is the techniques are not as effective as the original and much more likely to fail in a self defense scenario -or even in vigorous training. For example when striking a solid object with power the most commonly used punching techniques in the budo karate systems (Karate-do) can easily result in a broken wrist or a fracture in the radial or ulna bones of the forearm unless it is performed perfectly. The same technique executed the way it was originally taught is much more powerful and is structurally much stronger and will work even if it is performed imperfectly. Secondly, when the original martial arts techniques and concepts that form the nucleus of real martial arts have been removed or modified you lose the essence of what made the arts great and what made them effective. It would be like removing all the weights from a gym but leaving all the cardio equipment. 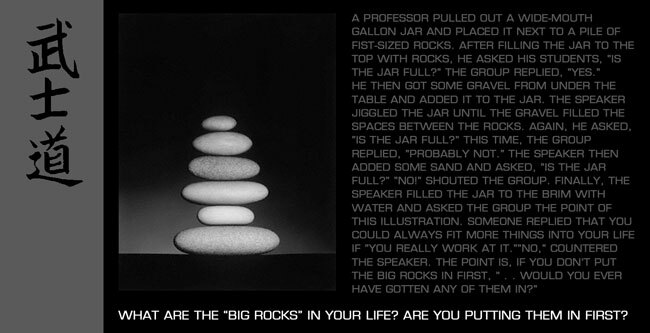 You would still get results but it would only be a shadow of what you could previously accomplish. Without those essential core elements the arts are much less effective for self defense and they are also not as effective as a personal development tool. “Martial sports” use derivatives of martial arts to create a sport version of the arts (more “Do” arts -karate do, tai kwon do, judo, MMA -Mixed martial arts, Kickboxing etc) that can be competed in for the enjoyment of participants (esp younger kids) and spectators. Martial sports also many times create an atmosphere of competition between the students at the school that can be a detriment to proper learning -esp for newer people just coming into the school. The object of sports is to win the game and in martial sports that means beating the opponent. We find that a challenging but non competitive atmosphere works better. 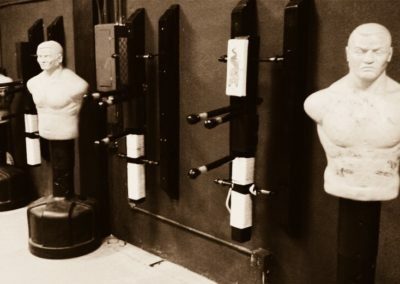 Martial sports also remove much of the original martial art techniques that are too functional and effective because these techniques can’t be used safely in sport competition. Martial sports also add in some non-functional, flashier techniques to give their competitions more spectator appeal. Jump spinning kicks for example. Martial sports also use some techniques that take advantage of the rules of their sport. For example competitors in sport karate will sometimes partially turn their back to the opponent because the back is not a legal target area under the sport rules. This conceals the legal targets on the front of their body and will possibly force the opponent to draw a penalty if they do strike the exposed back area. There is nothing wrong with playing the rules to your advantage in sport competition but in real life of course exposing the back (spine, kidneys etc) to an aggressor is an extremely dangerous and foolish thing to do. Under stress you will react the way you have practiced. If you have developed non-functional habits from your sport training you could be in trouble. Many of the techniques that sport martial artists practice don’t work well outside the sport environment and they are never taught many of the techniques that DO work or they are taught non-functional sport versions of the techniques. The Bushido arts (also commonly called “Jutsu” or “Jitsu” Arts) are what the newer Budo arts are based on. 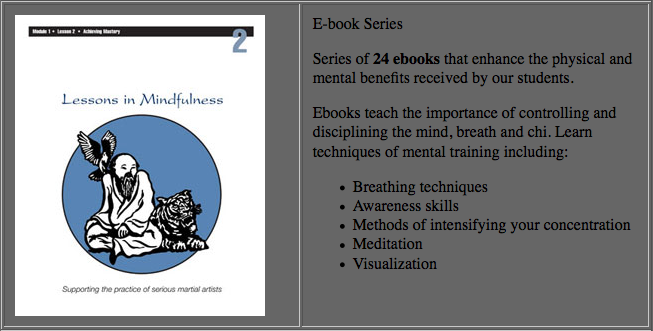 These arts are the parent arts to the “Budo” systems. Like the Budo “martial way” systems they develop students in mind, body and spirit -creating strong, dynamic self-disciplined individuals. We have found that the older warrior arts are even much more effective at this. The older arts are extremely functional and effective because the founding Masters of these systems lived in a time where they needed to be able to protect themselves and if their art failed them they were unlikely to survive to teach the next generation. We teach these arts because they are much more complete than the arts that were derived from them and offer a great deal more to the people who study them beyond even the great self defense skills. 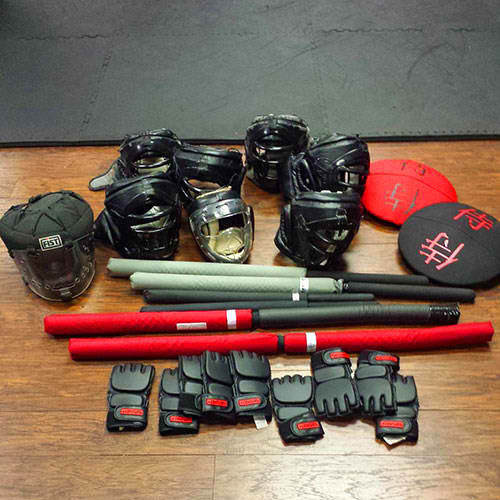 Look at all the other schools and types of martial arts available and see for yourself. 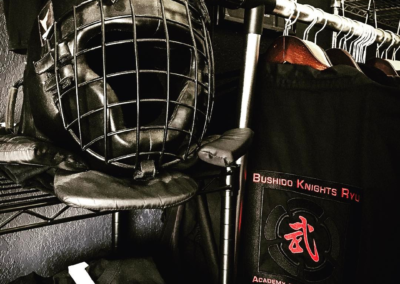 The instructors at the Bushido Knights are advanced Black Belts, with over 30 years of experience in the Arts who do martial arts full time and have focused their lives on doing and teaching the best martial arts. There are very few schools where a brand new white belt gets the opportunity to learn from senior Black Belts with this level of expertise. At the Bushido Knights if you are accepted as a student the majority of the classes available to you are taught by the head instructor. There is a huge difference between learning from a master teacher with over a 30 years of experience as opposed to being in classes run by a junior Black Belts who may have been teaching for only a year or two. 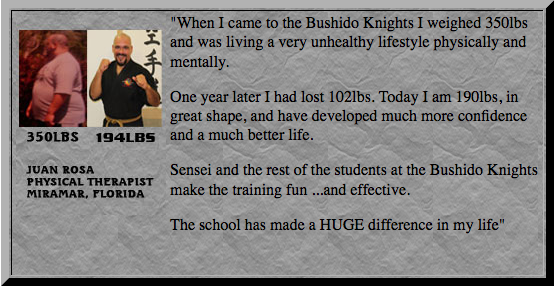 The Bushido Knights offer smaller class sizes than big commercial schools which may have 30-40 people in a class. Our class sizes are kept small, generally 6-12 people per class, so our students get a lot of individual attention from the head instructor. We limit the number of students we will accept to maintain the smaller class sizes and the high quality of instruction our students receive. Our classes teach real martial arts in a very functional way but the classes are also designed to be fun and challenging so our students learn faster and to find it easier to be motivated to train more. To be a great martial artist you need to have great skill in your techniques but you also need to understand how and why those techniques are best used. Otherwise it is like owning the best set of tools available -but not knowing what can be done with them or how they can be optimally used. This is why the average 12 year old Black Belt from a sport martial arts school does not compare to an older Black Belt from the Warrior arts. The 12 year old may have great physical abilities (speed, flexibility, clean technique etc) but he will not have the mental skills needed to have a deeper understanding of the techniques, the “way of strategy” etc. The physical techniques must be mastered but it is the mental abilities and knowledge combined with that physical mastery that separate the good “technician” from the great martial artist. The Bushido Knights teach a much larger variety of martial arts skills than are commonly taught in other martial arts schools (Most styles focus on only 1 “range” or type of skill (i.e. just kicking or just grappling -the Bushido Knights teach all of the 4 “ranges”). 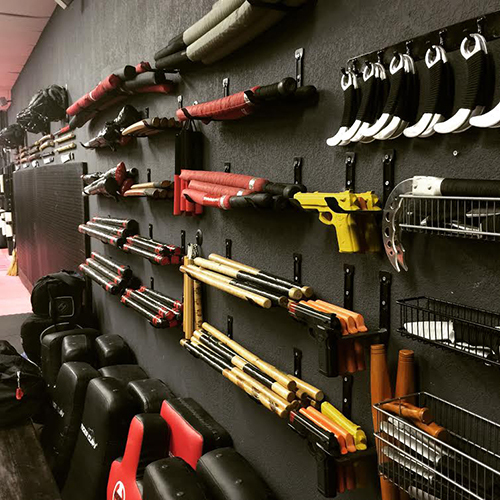 To learn all the skills that are taught here you would have to simultaneously study at least 4 different Martial Arts styles that specialize…and then put all the skills together. Watch a class at all the martial arts schools in the area and look at the teaching method, what type of students take classes there and the curriculum they teach. 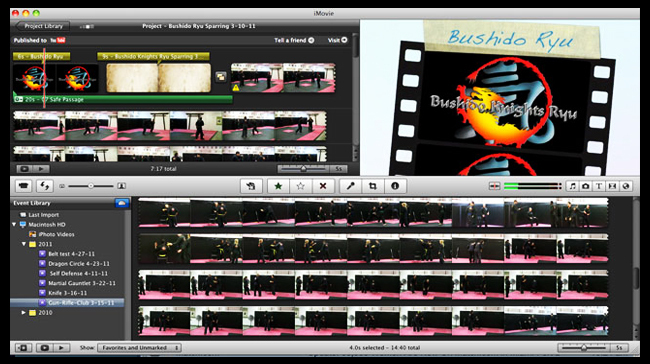 Then compare it to classes at the Bushido Knights Ryu. One of the difficulties in choosing a martial arts school is that you have to decide which type of skills you think you need and then hope you don’t end up in a situation that is outside the scope of the Art you have chosen. For example if a Black Belt in Karate ends up on the ground in a grappling encounter they would be in trouble because none of Karate’s kicks or hand strikes work well unless they are standing up -preferably three to six feet away from the attacker so they can kick and punch comfortably. A Black Belt in a grappling system such as Brazilian Jujitsu could easily handle an encounter on the ground but they would be in trouble if they faced multiple attackers -or any situation where they could not grab the opponent and go to the ground such as a knife wielding opponent. 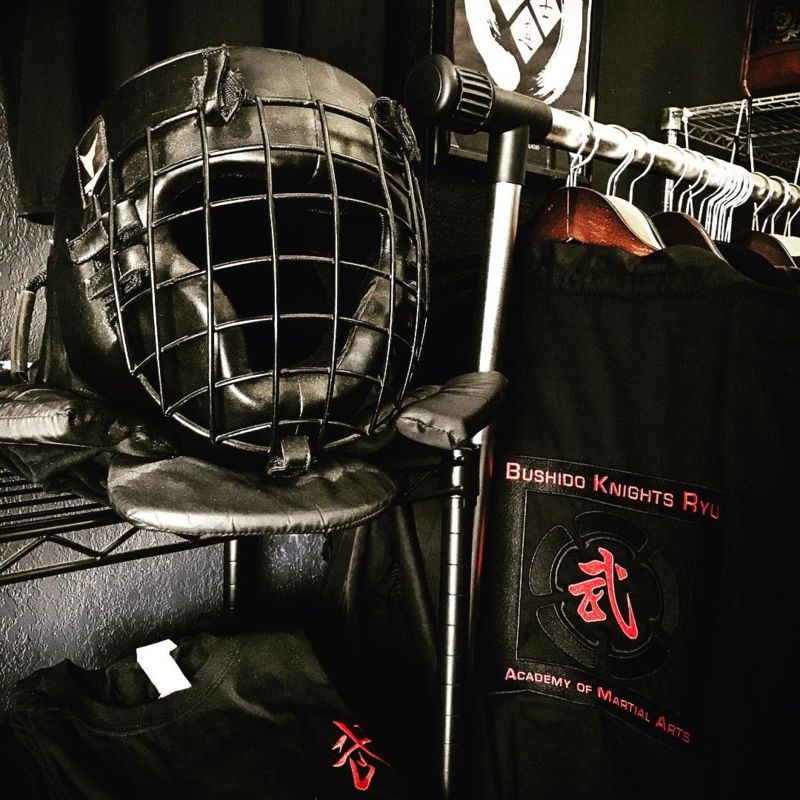 The Bushido Knights students don’t have to worry about ending up in a scenario that is outside their skills because our students are trained in all the different martial skills not just one or two. Again, Come and see for yourself. Real, proven self-defense skills and the peace of mind for you and your family that comes with you having those abilities, confidence and self-discipline, warrior fitness, flexibility and body control, concentration, emotional control and mental harmony, the opportunity to spend time with and be part of a group of exceptional people, self-respect and respect from others, challenge and personal transformation and growth. Martial arts is a path that will give you all that and much more. Take the first step on the path, make a commitment to YOURSELF and then TAKE ACTION. So if you are serious about getting involved in martial arts then now is the time to do something about it. Remember that in life Knowing what to do is not as important as Doing what you Know. So if you know that you want to study martial arts then we encourage you to take action now and begin. Remember back to when you first decided you were interested in martial arts. How much time has passed since then? A month? A year? Five years? 1.) As an extremely skilled martial artist and highly confident person knowing that getting into the arts was one of the best decisions you made in your life. A decision that changed and shaped your life for the better, well beyond the self-defense abilities. 2.) With regret for letting the opportunity slip away. Don’t be one of those people who is so busy making a living that they forget to make a life. You are drawn to martial arts for a reason, do something about it.